Do you ever get annoyed by your dog's squeaky dog toys? The Ultrasonic animal toys from All For Paws are ultrasonic and ensure that your dog will hear the beep during play, but you will not! The frequency of the noise is so high that only your dog can hear it. 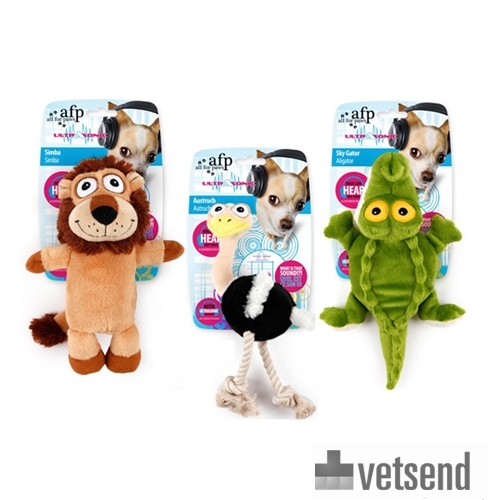 Your dog will have lots of fun with these soft and ultrasonic toys. Have you used AFP Ultrasonic before? Let us know what you think about this product.